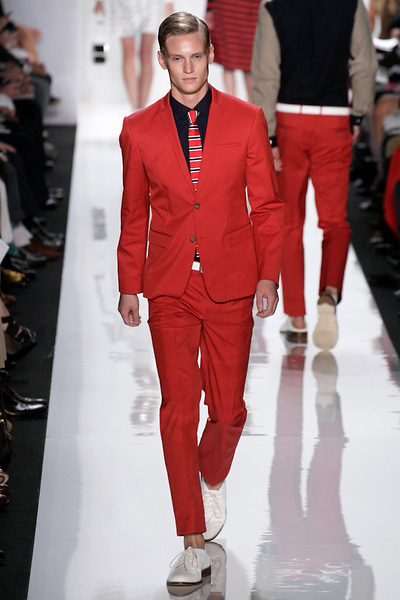 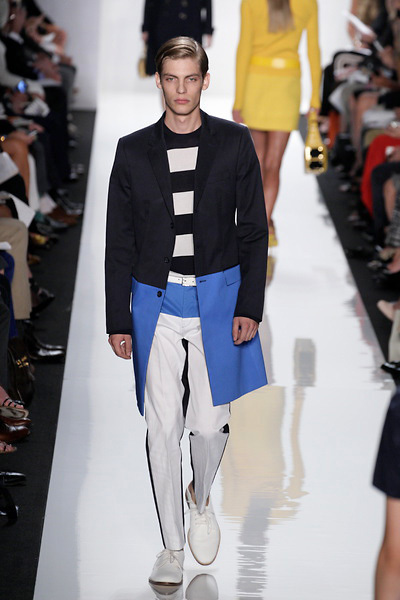 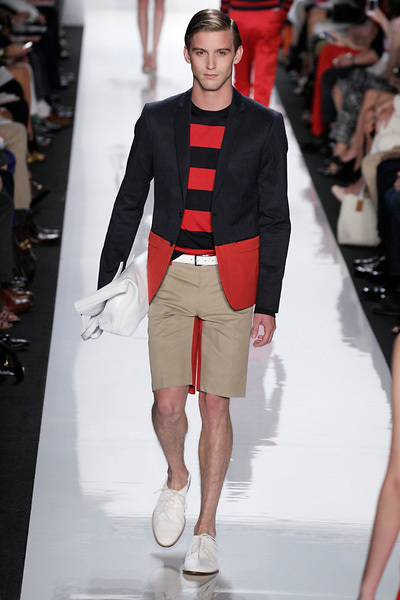 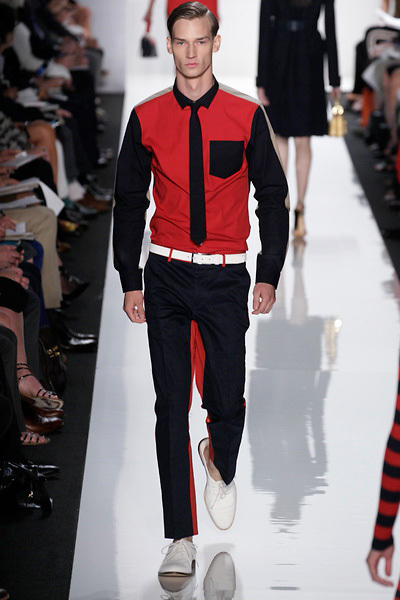 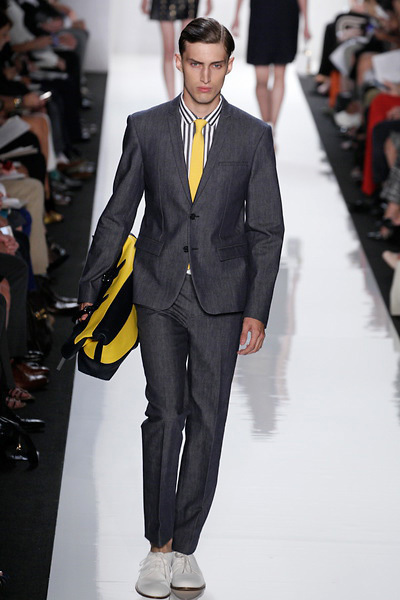 Rugby stripes, bold blocks of color, digital prints of clouds and pools, hints of the mod 1960s. 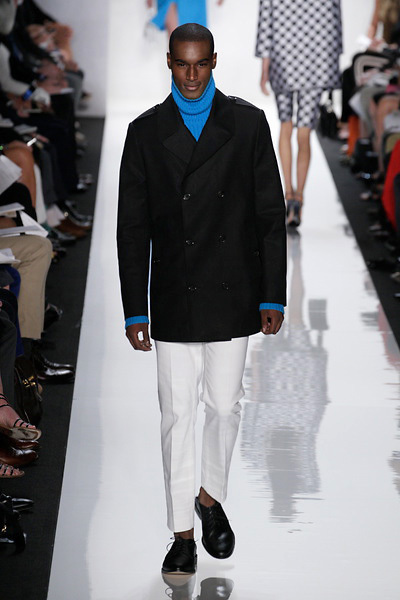 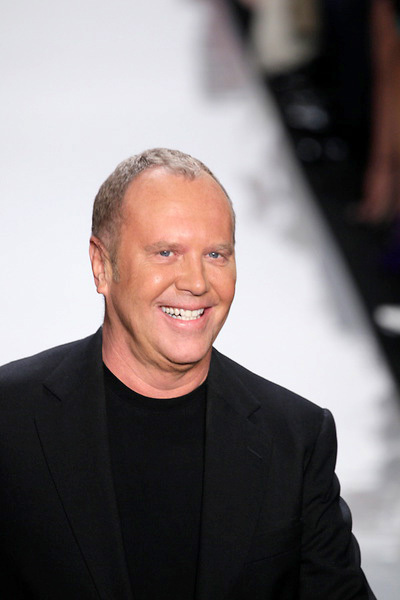 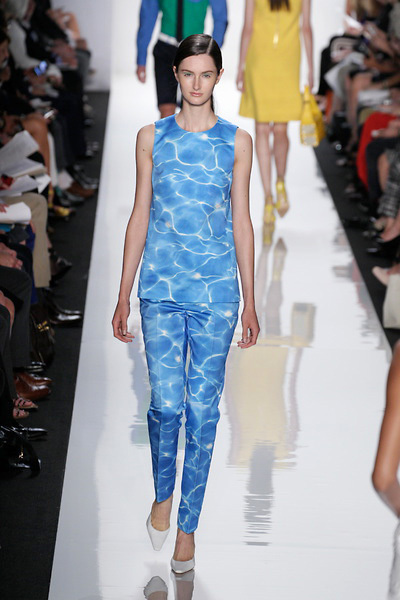 Michael Kors went for “geometric glamour.” The collection had a crisp look and feel. 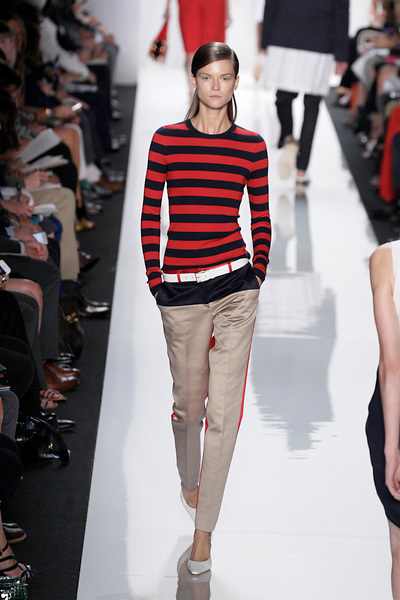 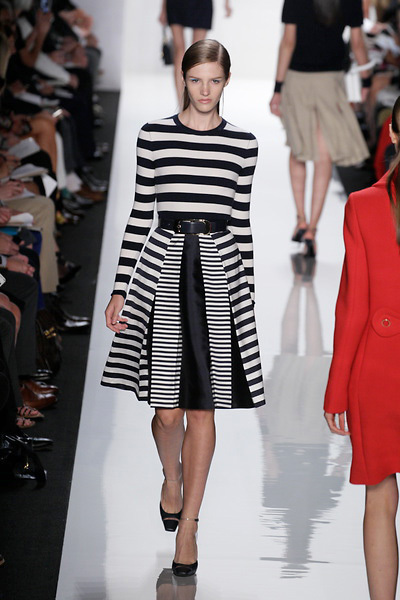 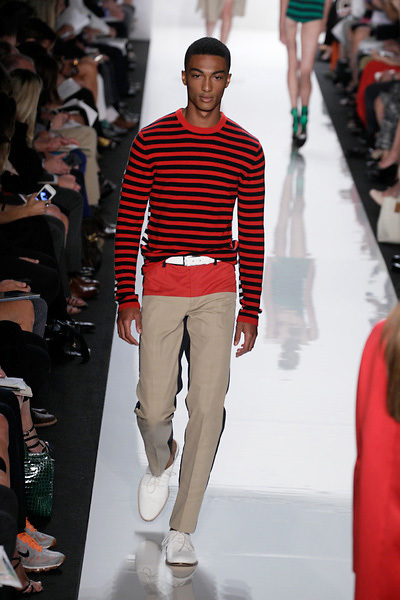 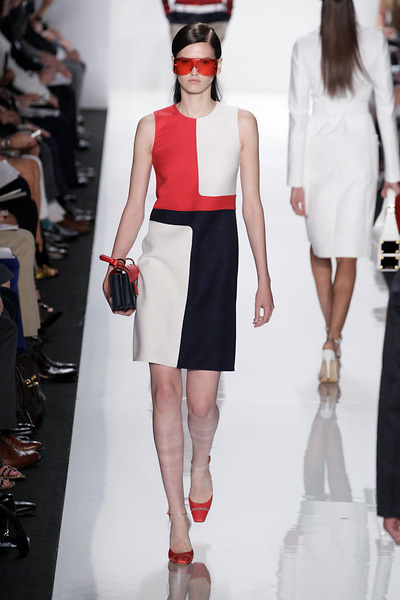 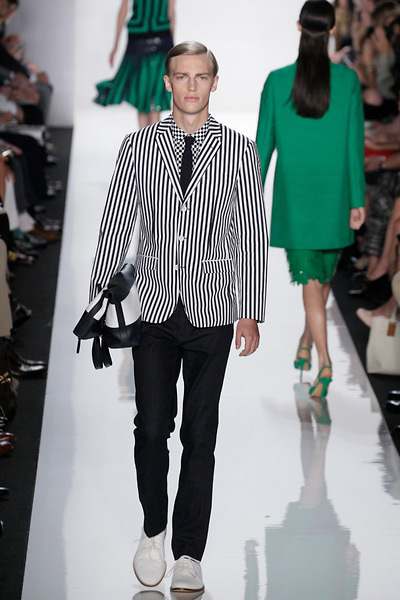 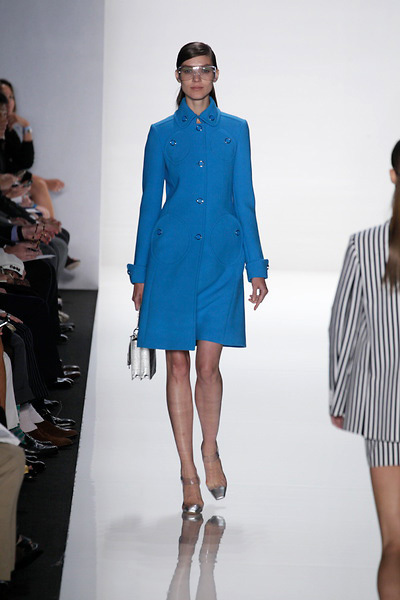 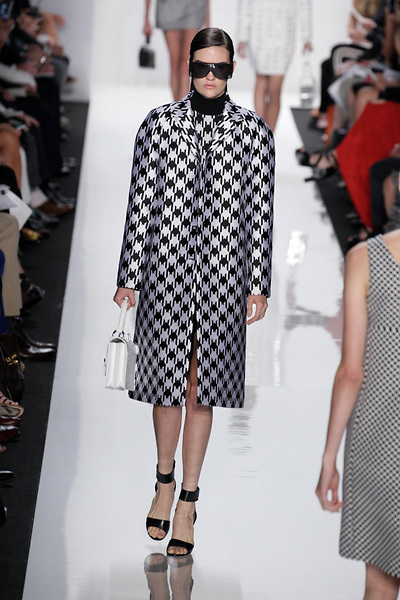 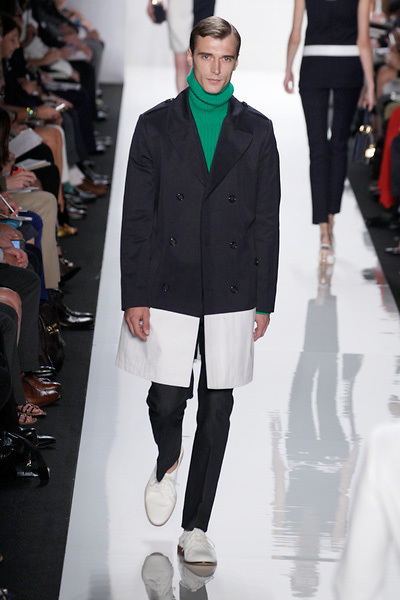 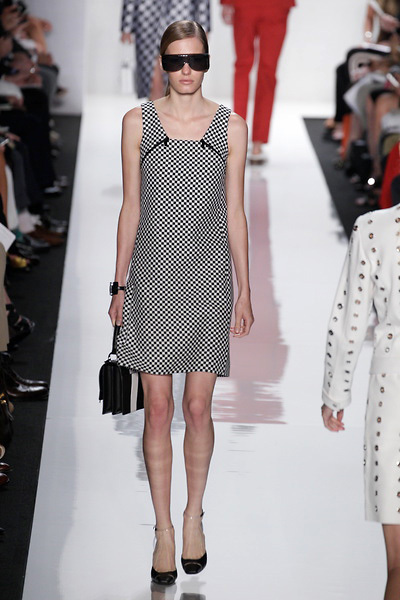 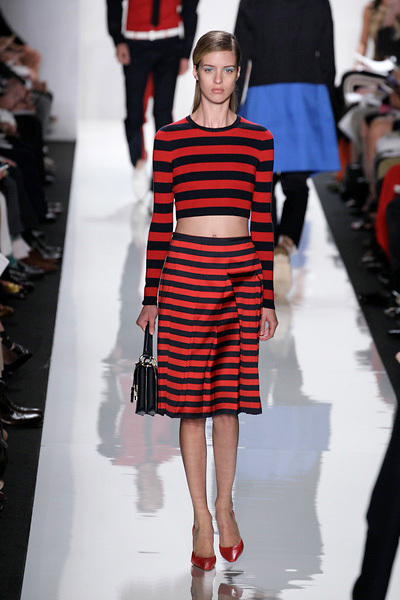 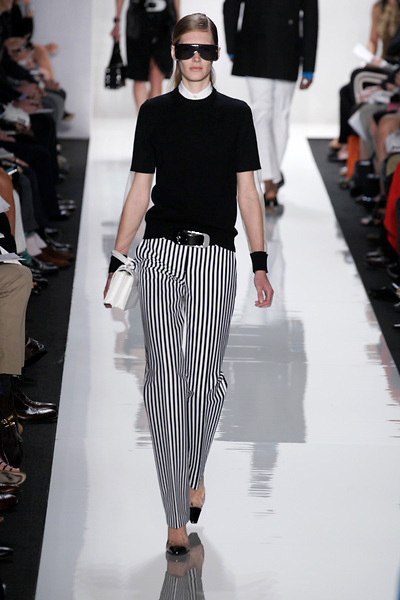 Sixties & stripes played a major role this season in New York, so Kors is right on track. 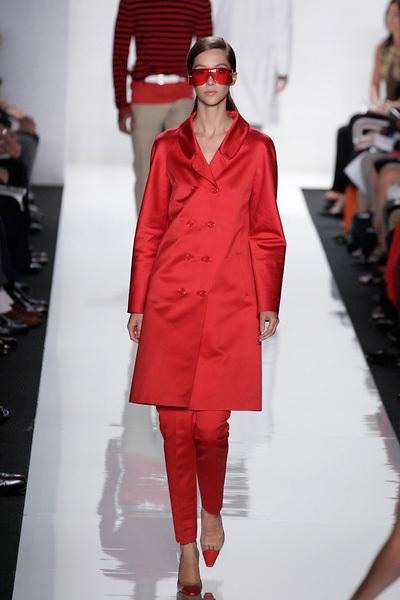 There were covetable items like a one-piece tank suit with zips on the sides, a white leather shirtdress with gold snap closures, and trim coats in primary brights.